Eleagnus Umbellata also known as Autumn Olive has delicious edible berries. 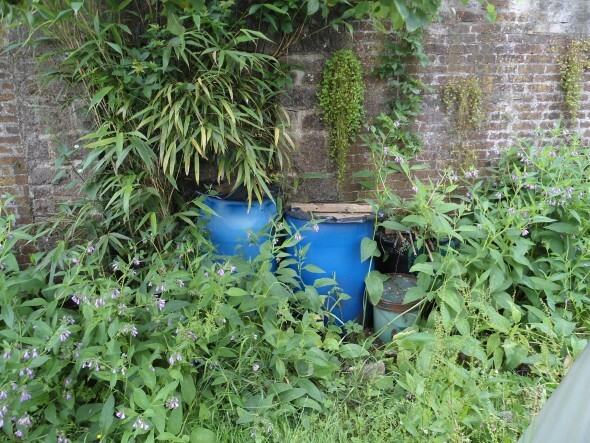 In permaculture we aim to work with nature to create healthy, functional and productive systems. Natural ecosystems are self-supporting; they don’t need us to come along and fertilize them because of the interactions between species which facilitate nutrient cycles. By understanding some of these beneficial relationships we can benefit from them too. 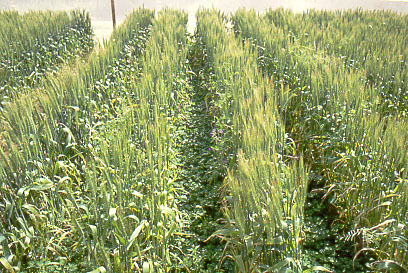 Nitrogen is one of the main plant nutrients associated with plant growth and is also important for producing the chlorophyll needed for photosynthesis. Plants can’t absorb nitrogen as gas from the air because they require fixed (combined) forms of nitrogen known as nitrates. Some plants, known as ‘nitrogen fixers’ interact with certain types of microbes in order to transform nitrogen gas in nitrates. There are two main groups of bacteria that can do this: Rhizobium & Frankia. These microbes live on the plant roots and turn atmospheric nitrogen (‘breathed’ in by the plant) in to nitrates that the plant can use as food. In exchange the plant provides the microbes with carbohydrates produced using photosynthesis. 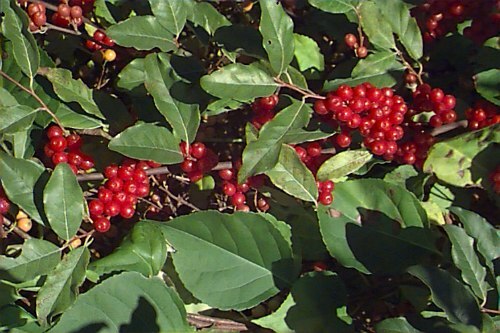 This relationship enables the plant to produce nitrogen-rich leaves and seeds. Leaf fall, seed fall and root die-back then makes this nitrogen available to other plants in the surrounding area, thus benefiting the whole system. We can make use of this natural symbiosis in organic gardening systems where we choose not to use chemical nitrates, in forest gardens where we aim to create a self-sustaining system, and in vegan gardening where animal manures are not used. Other nutrients will also be depleted as we harvest food from the plants, so these will need to be replaced in other ways, using mineral accumulators like comfrey for example. The huge botanical family Fabacae (previously known as Leguminosae) forms a relationship with Rhizobium and Bradyrhizobium bacteria. 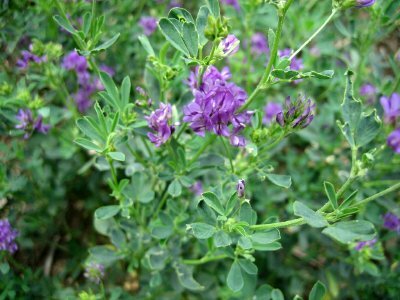 These are the plants we call legumes and they are commonly used in Organic agriculture and also in main-stream agriculture in the form of ‘green manures’ (more about this below). These bacteria form nodules on the plant’s roots which are visible to the eye. They also turn nitrogen gas in to nitrates to feed the plant, which then contributes the nitrogen to other plants via its seeds, leaves and annual root replenishing cycles. When planning a forest garden we refer to a ‘Nitrogen budget’ which helps us to ensure that we have enough nitrogen fixers in our system to replenish what we take out as a yield (crops). There are ways to calculate this (Martin Crawford’s Creating a Forest Garden) but sometimes it’s easier to include as many nitrogen fixers as possible and choose species with multiple functions, eg: insect attracter, edible fruits, windbreak, etc. These are plants which are able to absorb minerals from parts of the soil that other plants can’t reach, and accumulate them in their roots and leaves. As leaves and roots die back the minerals are added to the top soil and become available to surrounding plants. This natural process can be encouraged by ‘Chopping and dropping’ these plants periodically as a mulch, adding them to your compost heap, or making a liquid plant feed. Examples of dynamic accumulators are: comfrey (always plant Bocking 14 rather than native comfreyy as it can be invasive) dandelion and teasel. These plants tend to have very long tap roots which enter the subsoil and extract minerals, while also gradually opening it up and allowing in air, water and other plant roots, which can help to increase the depth of the topsoil over time. These are herbaceous plants sown onto ley (fallow) ground or ground which would otherwise be bare in periods between crops. Green manures add nutrients (mainly nitrogen) to the ground and reduce or negate the need to use compost or animal manures. They also form a protective ground-cover for the soil and can increase biodiversity and attract beneficial insects. why you are planting a green manure, eg: to add organic matter, to add nitrogen, to improve drought resistance (by protecting the soil). how long you require the ground to be covered – some germinate and grow quicker than others. Overwinter: to cover the ground between autumn harvest and spring planting. Maincrop: a fallow of at least a year, preferably three. Undersowing or bi-cropping: Sown around the crop during the growing season. Sweetcorn and soya beans (not great in uk) followed by potatoes as soya inhibits potato scab. Brassicas and sweet clover –deep roots don’t interfere with shallow brassica roots. Bi-cropping (also known as undersowing) is the practice of sowing a green manure around a crop. This is a regenrative agriculture technique used for large scale vegetable and cereal growing, but can also be done on a smaller scale. I have experimented with growing white clover around brassicas and pumpkins, which worked very well so long as the clover was ccut back hard to allow the vegetables to get going. 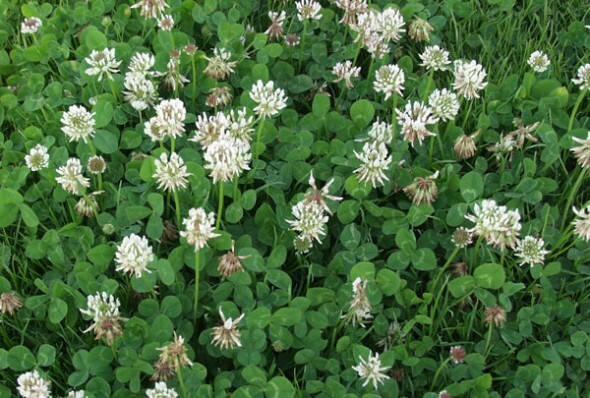 I began by sowing the clover as a green manure to cover some empty ground and then cut it back and cleared space for my seedlings when they were ready to be transplanted. This practice has many advantages; it protects the soil, increases biodiversity, adds nitrogen and supresses weeds. For extensive nitrogen fixing plant lists for temperate climates see the ‘Temperate Climate Permaculture’ website.